Following the launch of its turnkey CURTAIN multi-head measuring solution at K-Messe, Hammer-IMS is now introducing RETEC Instruments as its distributor in Belgium. The thickness and weight measurements of Hammer-IMS are complementary to the measuring instruments supplied by RETEC Instruments to numerous production plants in Belgium. Existing and new customers of RETEC Instruments will benefit from the collaboration by being able to take advantage of the electronic ‘M-Rays’ solutions of Hammer-IMS to replace existing nuclear or radioactive measurement systems. The new technology will be of particular interest to the plastics and paper industries, as well as for a number of construction applications (e.g. insulation, gyproc sheeting), areas in which both companies have an active presence. Hammer-IMS is hard at work setting up collaborative links with local distributors in Europe and the USA. RETEC Instruments will be the distributor for Belgium, operating from the area around Ghent. The company has specialised in measuring levels, loads and pressures in every possible industry for the past 25 years and more. The innovative thickness and weight measurements from HAMMER-IMS represent a powerful and logical addition to the range, mainly for production businesses involved in plastics, paper, construction materials and so on. Noël Deferm, General Manager of Hammer-IMS, says: “Our contacts with the people at RETEC Instruments already go back a long way. We are impressed by their expertise and customer base, which is firmly rooted in the manufacturing landscape of Belgium. Through the combination of our innovative measurement systems and the presence and expertise of RETEC Instruments, we expect to be able to equip plastics, paper and other production plants more quickly. Compared with the existing nuclear or radioactive measurement installations, our ecological measurement solutions provide a significantly lower Total Cost of Ownership. This is because Hammer-IMS systems eliminate escalating recurrent costs for items like permits, training and safety measures. 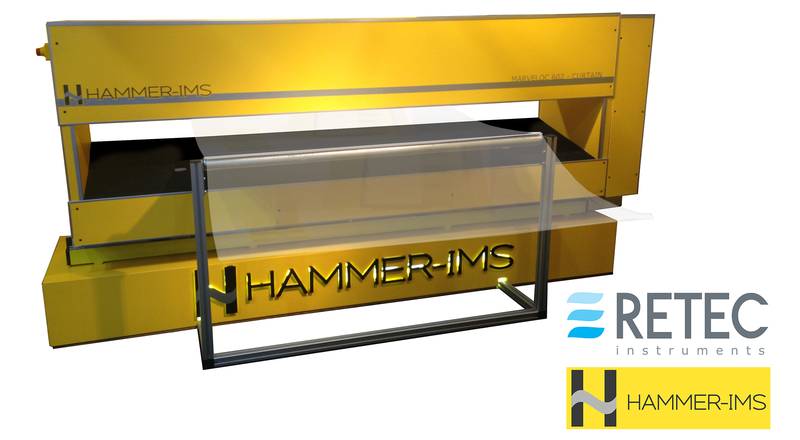 Recent item on Kanaal Z about the start-up of Hammer-IMS: Check out the video here. More information about Hammer-IMS here.